Saka holds B.Sc. (1st Class honours) and M.Sc. Degrees in Mechanical Engineering from University of Ibadan, as well as a Ph.D. from University of Cambridge, UK. Saka has been active in both the practice and academic sectors of the Petroleum Industry, over the past 20 years. He is the Chief Petroleum Engineer at FIRST Exploration and Petroleum Development Company, Lagos. He has been a visiting scholar at the Institute of Petroleum Studies, University of Port Harcourt since 2009 where he coordinates PhD degree programme, Undertake research work and supervise post-graduate students, Develop and teach courses in Advanced Petroleum Engineering. He had once served as Coach and Consultant for Reservoir Engineering at Shell Petroleum industry in Port-Harcourt in 2009 -2011 having studied as a Reservoir Engineer at the Shell International Exploration and Production BV, Rijswijk, the Netherlands. He was involved in the establishment of the Centre of Excellence in Geosciences and Petroleum Engineering, University of Benin in 2011 and has since been a visiting lecturer at the institute. Saka has also rolled as a visiting Associate Professor at African University of Science and Technology, Abuja, since 2013 and more recently, an adjunct faculty at the Department of Petroleum Engineering, University of Ibadan. This indeed describes Dr. Matemilola; he is a senior consultant reservoir engineer with an established track record of effectively leading and working as part of productive multi-disciplinary teams, in successful delivering major Oil & Gas projects – vast experience in integrated oil & gas development; subsurface resource evaluation; well, reservoir and facilities management; technical assurance; project value assurance; portfolio strategy & management. Saka’s interests and experience spans hydrocarbon resource evaluation, petroleum fields development studies and management, as well as strategic planning. He regularly delivers training courses on specialised topics in Oil & Gas, including at Society of Petroleum Engineering Conferences. Saka has published widely on Oil & Gas subjects, as well as in the field of Applied Mechanics where he originally started his career. He is a visiting scholar to Centre of Excellence in Geosciences & Petroleum Engineering, University of Benin. 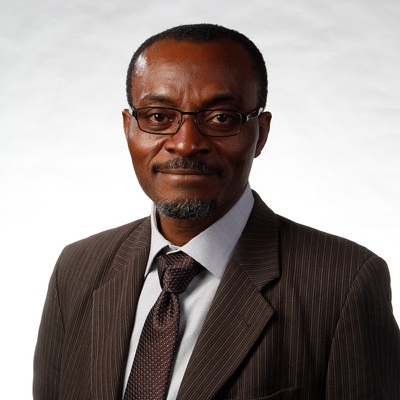 He is the Regional Resource Volume Coordinator, Sub-Saharan Africa for Shell Upstream International on Hydrocarbon Resource Volume Management from January 2012 to date having worked as a Senior Research Fellow at the University of Southampton, and University of Cambridge UK. He has authored (including co-author) a total of 13 technical papers in international academic journals or conference proceedings. He is happily married with Children..